covering everything from spring repair to door off track. 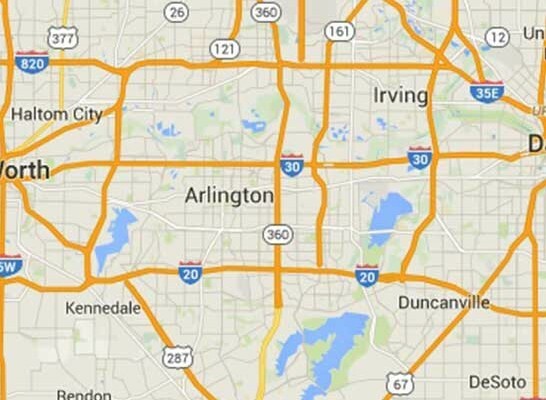 Servicing the Dallas Fort-Worth metro, including: Frisco, McKinney, Arlington, Garland, Irving, Plano TX, Mesquite, Carrollton, Denton, Richardson, Lewisville, Allen, Flower Mound, North Richland Hills, Mansfield, Rowlett, Euless, Burleson, Wylie. 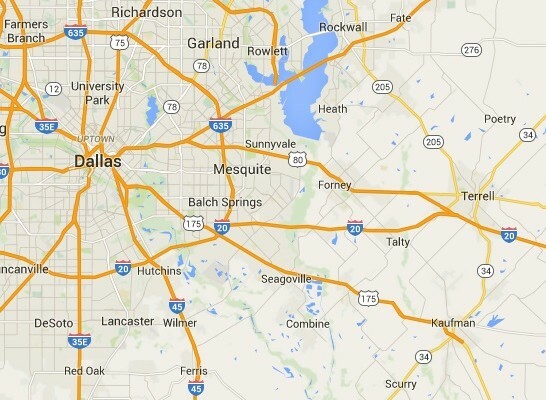 When you are in need of garage door repair in the Dallas – Fort Worth metro area, the choice is simple. Call on Veteran Garage Door, the local company with more than 10 years of experience. We are here for you whenever you need us. That is one way we stand out from other garage door companies. With a personable team of technicians who raise the standard of garage door repair and service. We run a progressive company who takes pride in offering superior workmanship along with true high end customer service. Using our own unique approach, we work to stand out by approaching our neighbors with unsurpassable residential and commercial garage door service and repairs. When people here the name Veteran Garage Door, they recognize the company that has brought trust, transparency and honesty back into the garage door business. When you call us, we don’t want that to be the only time we meet. We work to build a lasting relationship so we are the only garage door service company you call for any garage door related issues. Paying extreme attention to detail, we make sure the problem is fixed right the first time. When you call us, you get the highest level of service and first quality parts at the lowest possible prices. Why Should You Choose Veteran Garage Door? 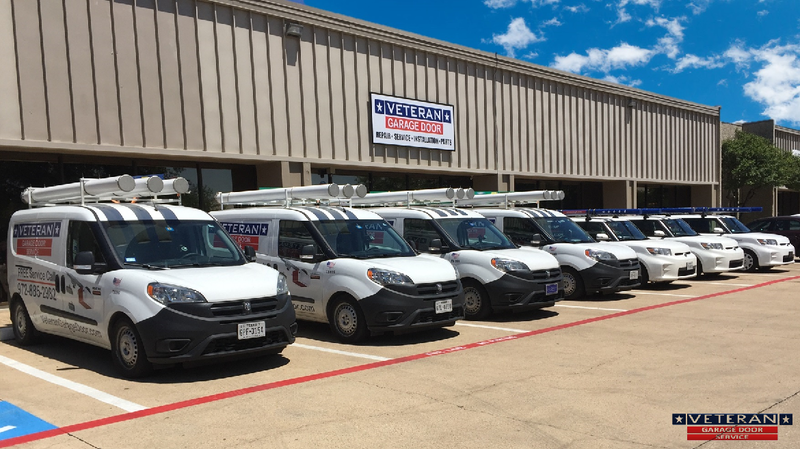 We are servicing the entire DFW metro including – Addison, Forney, Murphy, Sachse, Benbrook, University Park, Colleyville, Balch Springs, Southlake, Little Elm, Farmers Branch, Hurst, The Colony, Duncanville, Rockwall, Coppell, Keller, Wylie, Cedar Hill, Bedford, Grapevine, DeSoto, Euless. When it comes to garage door repairs, you want a trustworthy garage door repair company you can trust. 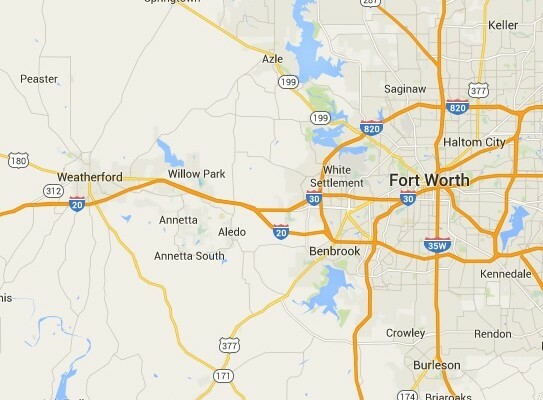 Veteran Garage Door is the local Dallas – Fort Worth metro company with more than a decade of experience. We have a team of highly trained experts who know how to properly address all of your garage door needs. We believe in going a step above and beyond to ensure your garage door is working at its optimal level and that you are completely satisfied with our service. One of the most common garage door repairs involves the springs. Regardless of the size or style of your garage door or the kind of springs your door has on it, they all serve the same purpose. Garage door springs are needed to keep your door counterbalanced. If the door is not counterbalanced, it cannot open and close properly and it will be unbalanced. An unbalanced door is a safety hazard and can fall. For that reason, it is imperative that all garage door springs are in properly operating order. If your garage door has a spring that breaks, the door itself can fall. As you know, garage doors are heavy. A falling door can result in serious injury or cause major property damage. Most residential garage doors have two springs. In that situation, if one spring breaks the other spring can keep the door from falling. In the event one spring breaks, you shouldn’t attempt to operate the garage door. The spring or springs that are left will be holding more weight than usual and the weight will be unevenly shifted. Commercial garage doors are usually heavier and larger. Because of their size, they usually require four or more garage door springs. It doesn’t matter how many springs a garage door has to counterbalance it. If a spring breaks, you should get immediate help to address the issue and prevent damage or injury. Garage door springs are dangerous, so they should only be handled by a trained technician who can handle the task safely and professionally. Making springs adjustments, replacing or repairing springs or installing springs are all dangerous tasks. In the event a garage door spring releases prematurely or uncoils without warning, you could suffer serious injury. Many people have been knocked off of ladders by springs. The fall itself can cause major injuries. If you are struck by the spring itself you can suffer broken bones or deep lacerations. Many people have experienced lengthy hospital stays or even been killed in garage door spring related accidents. It isn’t worth the risk. Call on a well trained technician who has been trained how to safely and professionally handle all garage door spring repairs. Garage doors have either torsion springs or extension springs. While both kinds of springs do the same job, they handle the task differently. Torsion springs are mounted on either side of an anchor bracket just above the center of the garage door. Typically, torsion springs come in one of three sizes with the inside diameters or 1 3/4″, 2″ or 2 1/4″. A torsion spring requires a stationary cone to hold it tightly into the spring anchor bracket. Because the spring anchor bracket is secured tightly to the wall the stationary cone is tight and does not move. The opposite end of the torsion spring has a winding cone, which is used during the installation, adjustment and uninstallation of the spring. During the installation process of the torsion spring, the spring’s coils are wound tightly to create a lot of torque. At that point, the torque is applied to the shaft, which runs through the center of the torsion spring. End bearing plates hold the shaft ends. Cable drums are located against the bearings. The cable drum has cable wrapped around it. That cable then runs down to the bottom of the garage door, where it is attached to the bottom bracket. In the event the spring becomes loose, the torque can spin the shaft dangerously, resulting in serious injuries. Extension springs are defined by weight rather than the dimension. The height of the garage door also plays a significant role in the size of spring. Two extension spring systems are found on each side of the garage door. Based on that, each side must be able to lift one-half of the garage door’s weight. An extension spring design involves two pulleys, one which is the stationary pulley which has a cable wrapped around it. The cable then travels to the second pulley, where it is wrapped around it before being connected to the track with a cable clip and S-hook. At that point, the second pulley is connected to the spring with a pulley fork. Some garage door companies have designed their own springs systems. Some Wayne Dalton garage doors are equipped with the Torquemaster garage door spring system. Likewise, some Clopay garage doors have the EZ – Set garage door spring system. Both of these systems were designed to make the spring adjustment process much easier and faster. Our technicians are also trained in how to properly deal with these kinds of spring systems as well. If it pertains to garage door springs, we can take care of it. Besides installing, repairing and replacing garage door springs, we maintain an extensive inventory of replacement parts, including replacement springs. We have torsion springs, extension springs, cones, winding bars, lubricant, set screws and anything else that is needed to handle your garage door spring related needs. As your full service garage door repair company, we can make sure your garage door springs are working properly and safely. When you call on us for your garage door repairs, there is no need to worry. There is no risk to you because we never charge a service call fee. We also provide free estimates so you know what to expect. When you choose us, you won’t get any unpleasant surprises. We handle business honestly and straightforward, so you will call on us in the future. We work to build lasting relationships with our customers. We want to be the garage door repair company you know you can trust to take care of business. We are currently promotions on springs repair. Throughout the years, technological developments have also become evident in garage door openers. Garage door openers can do much more than just open and close garage doors in this day and age. Through innovative engineering, garage door openers can be a part of your security system, accessible by you even when you are miles away. Here at Veteran Garage Door, we are a full service garage door repair company. We have a team of experienced technicians who can help you with all of your garage door opener related needs. We sell, install, repair and service LiftMaster, Chamberlain, Craftsman, Marantec, Linear, Genie, Sommer, Raynor, Stanley, Allstar, Wayne Dalton, Skylink, Guardian, Overhead Door, Viper Garage Door Openers. Each of those manufacturers is well respected in the garage door industry. Each company makes a variety of garage door opener models to serve customers. Whether you are in search of a garage door opener for a residential setting or a commercial setting, you can count on our technicians to help you throughout the entire process, from the product selection to installation to maintenance to repairs. Garage door openers are available in varying horsepower, including ¼ HP, 1/3 HP, ½ HP, ¾ HP, 1 HP, 1 ¼ HP. The more horsepower, the heavier the weight it can lift. As an example, if you have a large, heavy commercial garage door, you can’t expect a 1/3 horsepower garage door opener to lift it day after day. Instead, it would require a stronger opener, such as the 3/4 horsepower to take care of business. When you select the right garage door opener to do the job, you can get decades of quality service. Our technicians can handle all of the programming as well. We want your garage door operation to be as convenient as possible for you. Whether you choose to use the factory remote, a keychain remote, universal remote or keyless entry, we can help you with the programming and set up. If you choose to incorporate your opener into your security system, we can help you with that, too. You can access your opener from your computer or mobile device as you travel far away. You can either allow or deny entry through your garage door. We can also help you with battery backup for your garage door opener. With battery backup, your garage door opener will function as usual in the event of a power outage. We can help you select the right unit, install it for you then make sure it is working right. Our goal is to ensure your garage door equipment is working at its optimal level and that it is operating safely. We work to save you money by ensuring your equipment works well and that it lasts as long as possible. With our maintenance services, you can prevent many problems before they start or before they worsen. Maintenance should be scheduled twice a year. During the maintenance visit, our technician will carefully inspect your garage door opener, checking each part carefully. He will open and close the door, listening for any unusual noises and watching for any unusual movements. If he sees anything out of the ordinary, he will tell you what can be done to prevent further issues. In the event you find yourself in a situation where your garage door won’t go down or up, you can call us for fast repairs. Our technicians can do it all, from troubleshooting to the actual repairs. As a full service garage door repair company, Veteran Garage Door maintains an extensive inventory of garage door parts, including parts for garage door openers. By keeping parts in inventory, we can keep costs down and get repairs done much more quickly. We offer affordable prices around for all kinds of garage door related needs. We also offer around the clock emergency service for unexpected repairs and same day service for installation and maintenance. When you call on Veteran Garage Door, you will get the best possible results in every sense of the word. We are currently offering $55 off garage door openers. Call us for more details. When it comes to finding garage door parts, you want to get the parts you need quickly and at affordable prices. You can count on Veteran Garage Door to make sure you get the parts you need to keep your garage door working right. When your garage door breaks, it becomes a stressful situation. You want the problem fixed right away. The end solution is fast and easy access to parts. Many times people have to order parts and wait for delivery or drive to another town and pay those expensive prices in a retail store. As your full service garage door repair company, here at Veteran Garage Door we work to exceed expectations in order to get customers the service they need. One way we provide unsurpassable customer satisfaction is by selling high quality garage door replacement parts directly to the you, the customer, at the best possible prices. In our inventory, we have garage door sections for Wayne Dalton, Clopay, Windsor, Amarr and Raynor doors. Some other kinds of garage door parts that are readily available include hinges, the various sizes of garage door struts, safety beams, shafts, drums, rollers, hardware, replacement factory remotes, keychain remotes, Evercharge batteries, garage door silicon based spray on lubricant, short panels, garage door verticals, long panels, all of the varying sizes of cables, winding bars, cones, one piece garage door springs and more. When it comes to garage door openers, we have pulleys, belts, the various sensors, replacement remotes, gear kits, gear sprocket assemblies, replacement motors, casing, battery backup, plastic covers, accessories and hardware. We have all kinds of universal remotes, the various capacitors for openers, logic boards, control boards and everything else that is needed for garage door openers. We have all kinds of replaceable parts so we can keep your garage door working as good as new. We also have parts for many kinds of garage door products, including those that were manufactured by some of the leading companies, such as Raynor, Chamberlain, Amarr, Windsor, Wayne Dalton, Clopay, Northwest, Sears Craftsman, Marantec, Linear, Liftmaster and Genie. If it was made by a well known garage door or garage door opener company, odds are that we have the parts for it readily available in our inventory. We want to get the needs of our customers taken care of as quickly as possible. We understand that garage door problems can happen at any hour of the day or night, so we offer emergency service so you can call us at any and schedule an appointment. If you are wondering where you can buy garage door springs, Veteran Garage Door has those in stock as well. We have EZ – Set spring systems, torsion springs, extension springs, Torquemaster spring systems, cones, winding bars, set screws and one piece garage door springs. We specialize in providing full garage door service, including parts. If you need garage door springs repair, we have all the parts that you need to take care of the problem right here in our inventory. We believe in fair ricing, so we guarantee you will get the best possible price. Instead, we want you to be completely satisfied with the entire experience. When you shop with us, you will get all the parts that you need at the best possible prices of anywhere around. We work hard take care of our customers in every way possible, ensuring that you are completely happy and that all of your expectations have been met by our team and our products. When it comes to garage door parts, Veteran Garage Door is the obvious choice. With one call to us, you will get fast, friendly results. Not all garage doors are the same. When it comes to garage doors, you want to select the best door for your needs not only thinking about now, but also looking toward the future and planning for the years ahead. You want to make sure you select the best door to take care of the problems and serve your needs. As experts in all aspects of garage door care, Veteran Garage Door’s technicians will take the time to explain the options and compare them to your individual needs so you can get the door that will serve you the best and last you the longest. Choosing the appropriate garage door for your needs will save you a lot of money in the years to come. You may be surprised when you realize how many different garage doors there are available out there when you the time comes to choose a new garage door. As you shop for a garage door, you want to be certain that you consider all of the different features and options that are available on the market. You then need to compare those options to your personal needs in a garage door so you can get the best equipment to serve you for the longest period of time in the years ahead. During the garage door purchasing process, we want you to consider about more than just what you need today. You need to think about what you will need in a garage door several years ahead. By selecting the right garage door you can get decades, often 20 or 30 years, of quality service. Several things need to be considered as you purchase a garage door. First, you need to think about how many times everyday the garage door will be opened and closed. Also think about how the garage door will be treated – paying special attention to frequent hits or abuse, the weather at your location and the style and design you want for your garage door. Doors are available in various styles. Examples of styles include rollup garage doors, sectional garage doors and overhead garage doors. All of these different kinds of garage doors have their own advantages as well as disadvantages. Some kinds of garage doors are more suitable in some situations rather than other situations and uses. If you are concerned about climate control or if you just want to maintain energy efficiency, you will benefit from an insulated garage door. Insulated doors are available in various styles and designs. They are available in residential and commercial designs. Our technicians will show you all the options and help you choose the right insulated door for your situation. When it comes to insulated doors, the choice may not be straightforward because all of the manufacturers have their own versions available. The leading materials used in garage door construction include wood, aluminum and steel. Wood has been used for construction for hundreds of years. It is attractive as well as strong. The downside to wood is that dampness can cause major damage. When wood is wet, it will expand. After the wood expands, it will start cracking. After frequent dampness, the cracking will worsen and the door will have visible damage. Wood doors will eventually require repairs or replacement. Midlothian and the surrounding communities are in the humid subtropical region, so the door will be subjected to frequent dampness and rains. For that reason, we do not highly recommend wood garage doors to clients in the area. When it comes to strength, the strongest garage door available is the steel back garage door. While steel can be damaged, it has the ability to withstand much more abuse than any other garage door. Steel back doors are excellent choices for those places where the door will be hit by pallet jacks, trucks and other equipment repeatedly day after day. Our technicians will definitely recommend steel doors for many commercial settings, such as truck terminals, warehouses and factories. They can also be used in residential settings. In those situations when a standard garage door is sufficient, our technicians will probably recommend that you go with the basic aluminum garage door. Aluminum is strong and dependable and it is also lightweight, which is beneficial. With that being said, it is an excellent choice for most residential situations and many commercial sites as well. The downside to aluminum is that it will dent or bend much easier than other metals. Aluminum is also very affordable and dependable. You can also select an aluminum door from many different styles and designs. There are also many special features or options that are available for your garage door creation. If you want to custom design a garage door, you can rely on our experts to help you all throughout the ordering process. We will assist you as you create the custom designed door that you need so you can have a perfect garage door that is unique and attractive. With the proper design help, you can design a door that reflects your style as well as your personality. You can even decide to add inserts that have special designs or monograms. Another option is adding windows to make your door stand out from the others in the neighborhood. You should view your garage door as an investment. You put a lot of money in your purchase, so you should want it to last as long as possible. Your friends here at Veteran Garage Door will work to help you save money. Longevity is the key. By maintaining a proper maintenance schedule, you can get better service and results from your garage door equipment. When you work with Veteran Garage Door, you can count on getting the best possible care for your garage door equipment. The experienced garage door technicians at Veteran Garage Door will carefully clean all of the garage door’s parts, inspecting them one by one. Using a soft cloth or a wipe, he will carefully clean and remove the residue and grime that has built up during the door’s operation since the last maintenance visit. He will give special attention to the garage door parts that are more likely to cause problems, such as the door’s hinges, the torsion or extension springs and the garage door rollers. After cleaning the parts, he will check them for wear and tear or damage. He will also ensure that they are moving freely like they need to in order to work. After the inspection, our technician will lubricate all of the metal parts with a silicon based lube blaster, such as the popular products known as WD – 40 or Dura Glide. When garage door parts become too dry, they are much more easily damaged. Proper lubrication of the parts at least twice each year is imperative to ensuring that your door is operating safely. During maintenance, the technician will also inspect the door’s cables; its tracks then look at the sections or panels for any damage. At that point, he will go over every part of the door with a fine tooth comb to ensure that your door is providing optimal performance and doing so in a safe and efficient manner. The maintenance visit also includes the technician checking out the garage door opener. After he opens and closes the door a few times, as he is carefully monitoring its performance, he will make sure the door is operating evenly. He also checks to confirm that your garage door is not make any loud noises during the operation process. If there is a beeping sound or flashing light on the opener, that can also be addressed during the maintenance visit. All of the various parts of the garage door opener are inspected thoroughly. During the process, the technician will look at all of the opener’s gears, the belt and belt drive, the pulley, the gear sprocket assembly and scan over the opener’s motor. The batteries are replaced in the remote controls that operate the opener. Battery backup is also tested to make sure that it will open in the event there is a power outage. With battery backup, your garage door will properly operate the door when and if the power goes off. If it is needed at this time, we can replace the battery in the battery backup. If you don’t have battery backup and are interested in getting one for your garage door system, we can help you with that decision and install the unit for you. Garage door maintenance not only keeps your door working at its best longer, it also promotes garage door safety. Broken hinges or broken springs are dangerous and can cause injuries or damage. Thankfully, many pending garage door problems are caught early through the maintenance visit. When they are discovered you can go ahead and have the repairs taken care of to prevent those potential major issues. When you call us for maintenance, you know that your garage door is being handled by people who take pride in their work. Let Veteran Garage Door do the job for you, so you can count on getting unsurpassable results. *We offer price match policy on all our services. *Our life time warranty options cover parts, springs and door – contact us for more details. * 100% satisfaction guaranteed or your money back with in 30 days of service.